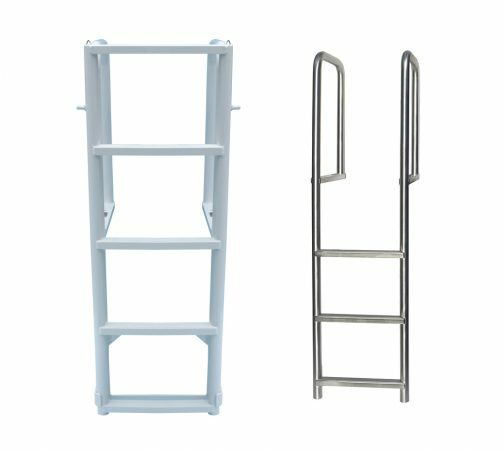 Perfect for easy and stable access to the water, these marine-grade ladders are made from aluminum alloy with a beautiful powder coated finish to help prevent corrosion. They are available in both a fixed and retractable slide style to keep the ladder up above the water line to prevent marine growth and they are available with 3, 4, 5, 6 & 7 steps. The width of the ladder is 18”.